Saudi Arabia’s petrochemicals giant Sabic has grown faster over the past year than any other brand in 2018, jumping from eighth to third rank, according to brand valuation and strategy consultancy Brand Finance. Contributing to Sabic’s impressive 78 per cent increase in brand value to $3.7 billion is the renewed effort by the brand to capitalise on the US shale boom by growing its business across America, said the Brand Finance Chemicals 10 2018 report. Having recently announced plans for a new head office in Houston, Texas, Sabic is a major supplier of polyethylene and other commodity resins across the Western Hemisphere. 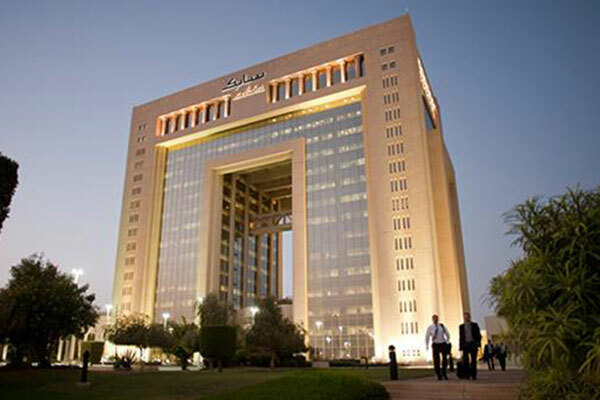 Boosted by the rise in oil prices, Sabic is also looking into opportunities to access the African market and considering acquisitions in Europe and China. BASF has maintained its status as the world’s most valuable chemicals brand, following 13 per cent brand value growth from last year to $7.4 billion, according to the report. The brand value of BASF was boosted as a result of increased revenue projections after a strong 2017, which included the announcement and subsequent purchase of parts of Bayer’s businesses, in connection with Bayer’s acquisition of Monsanto. In second rank, Dow’s brand value surged 38 per cent to $6.5 billion, offset by the result of DuPont (down 10 per cent to $2.7 billion). Michigan-based Dow and Delaware’s DuPont have now completed their corporate merger while continuing to restructure their businesses to operate under separate Dow, DuPont, and new Corteva brands. Although, at the moment, the combined value of Dow and DuPont at $9.2 billion is greater than that of BASF, it remains to be seen how the merger and ensuing reallocation of assets impacts their respective brand values. David Haigh, CEO of Brand Finance, said: “The undergoing transformation within DowDuPont will have a tremendous impact on the brands and how they are perceived in the future. So far, Dow has seen its brand value boosted by the merger, while DuPont’s brand value has been significantly disrupted. Brands in the middle of the Brand Finance Chemicals 10 ranking did not share in the strong gains of those at the top. Air Liquide (down 9 per cent to $2.3 billion), Asahi Kasei (down 5 per cent to $2.3 billion) and Mitsubishi Chemicals (down 9 per cent to $2.3 billion) suffered significant losses to their brand value. Asahi and Mitsubishi were both affected by the relative weakness of the Japanese yen. In addition to measuring overall brand value, Brand Finance also evaluates the relative strength of brands, through the Brand Strength Index (BSI) – a balanced scorecard of factors such as marketing investment, customer familiarity, staff satisfaction, and corporate reputation. Along with the level of revenues, brand strength is a crucial driver of brand value. Mitsubishi’s brand has the weakest strength in the top 10 as a result of the company’s online and social media performance lagging behind its peers who have expanded their digital marketing and promotion, particularly on LinkedIn, a crucial portal for talent recruitment. The staff are one of the main stakeholders influenced by a brand’s strength, with stronger brands attracting and retaining quality employees.